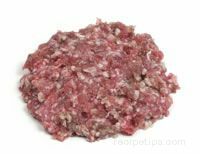 A smaller version of Andouille sausage, a course-grained smoked meat made with pork, chitterlings, pepper, wine, onions, and seasonings. Andouilettes are generally 1 inch or less in diameter. 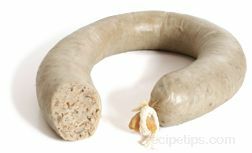 French in origin but brought to Louisiana by German and French immigrants, this sausage is most often associated with Cajun cooking. 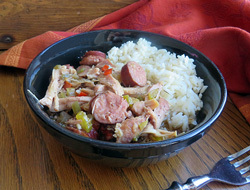 It is produced as a mild sausage (French in origin) and as a spicer, Cajun version (derived from French influence) that is used as an ingredient for various Cajun foods such as soups, stews and meat dishes. 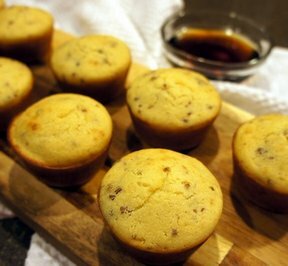 There are a number of versions produced that generally provide a spicy, smoky, rich, earthy flavor, which may also have a slightly sweet taste. 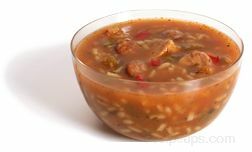 Andouille, which has a noticeable flavor of herbs and garlic, is used as an ingredient in meat dishes, as an appetizer and is especially well suited for jambalaya or gumbo. Tasso, also known as Cajun ham, can sometimes be subsituted for Andouille, but if combined in a main dish, it may not offer the distinct flavors of Andouille and may also add too much of a smoky flavor to the food.